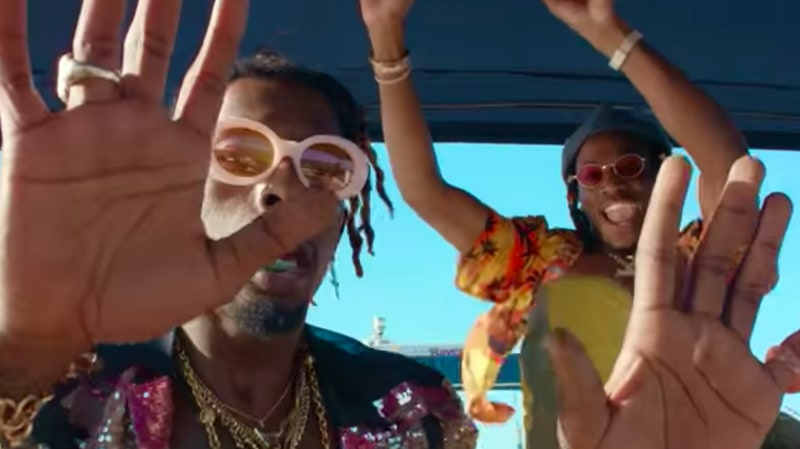 Fresh off performing at Coachella this past weekend, Flatbush Zombies have released the video for their track "Vacation." The visual for the Joey Bada$$-assisted track places their creative tendency and eccentric sense of humor at the forefront, with each scene being paired with a running commentary poking from at everything from the video itself to its creators. From hanging out on a yacht alongside women wearing glitter body paint to driving through the countryside, Flatbush Zombies know how to kick back and subtly flex, even as they joke its way too expensive. G.O.O.D. Music's new signee, Valee, has teamed up with one of the most in-demand videographers, Cole Bennett, for his latest visual, "Skinny," which appears on his GOOD Job, You Found Me EP. The visual shows off Bennett's reputed editing skills as he stylistically follows the Chicago rapper around town. Trippie Redd is currently readying his debut album. To help keep the creative juices flowing, the Ohio native has revisited his 2017 mixtape, A Love Letter to You 2, sharing a music video to accompany the track, "Deadman's Wonderland." The Matt Keane-directed music video begins with a jolt, as Trippie is seen being carted out of a room on a stretcher before things take yet another dark turn.